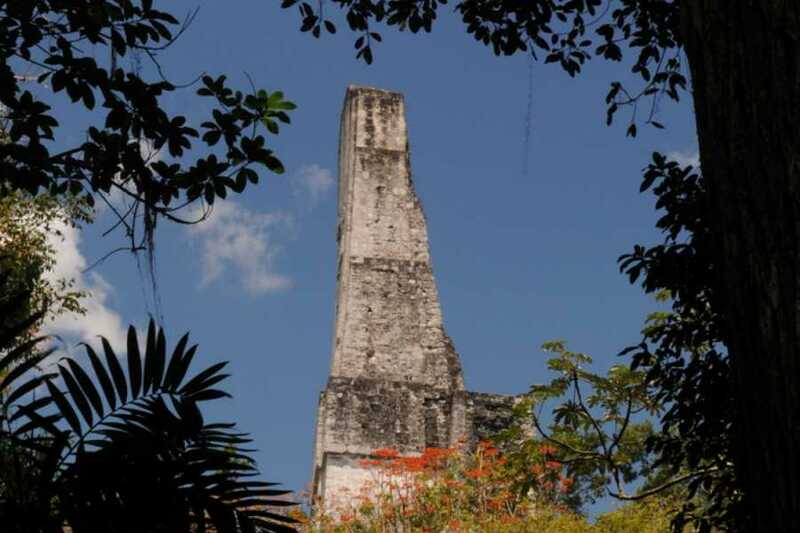 With the immensity of Tikal in number of structures and information, also because it is scattered in the jungle, it is helpful to have an expert and exclusive guide that allows you to obtain all site data in an entertaining and friendly way. 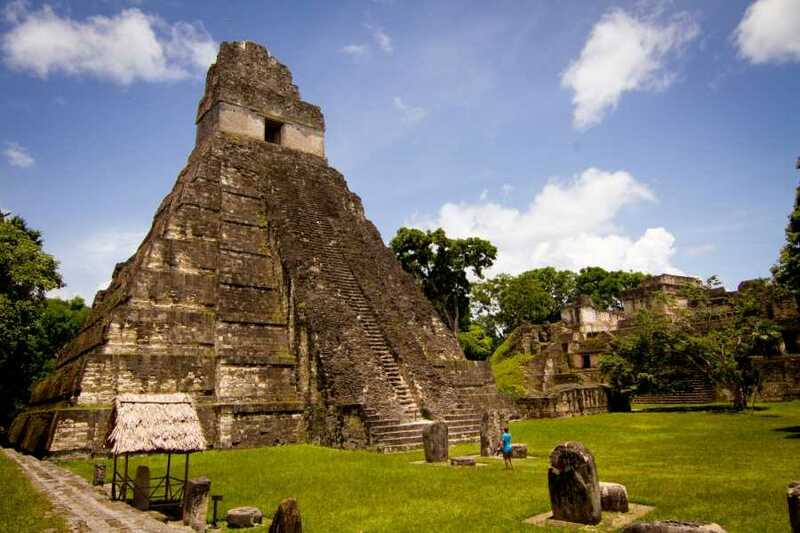 Enjoy Tikal in a great way, guided tour through virgin jungle paths, visiting the major archaeological maya buildings, some of them can be climbed as the tallest maya construction: Temple of the Double-Headed Serpent, with 212 feet high. 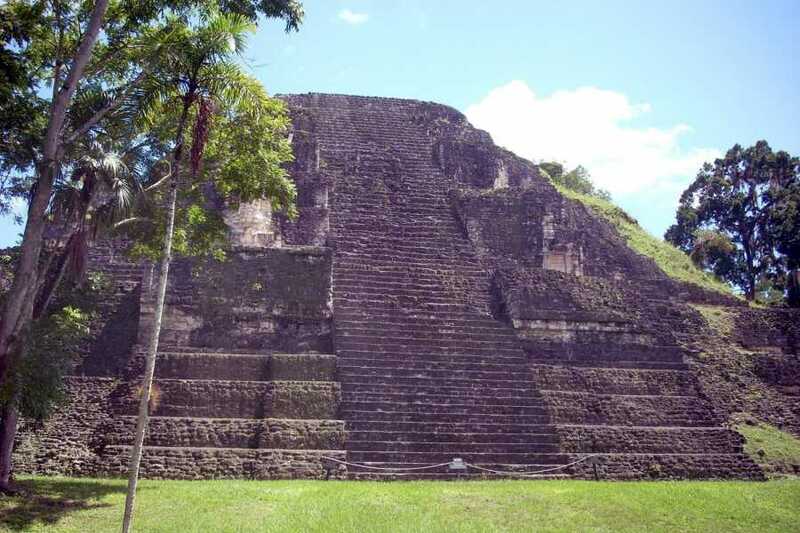 Tikal is cultural and natural UNESCO site. Tikal National Park encompasses 576 square kilometres of jungle and thousands of ruined structures. The central part of the ancient city alone contains 4,000 buildings and covers about 16 square kilometers. 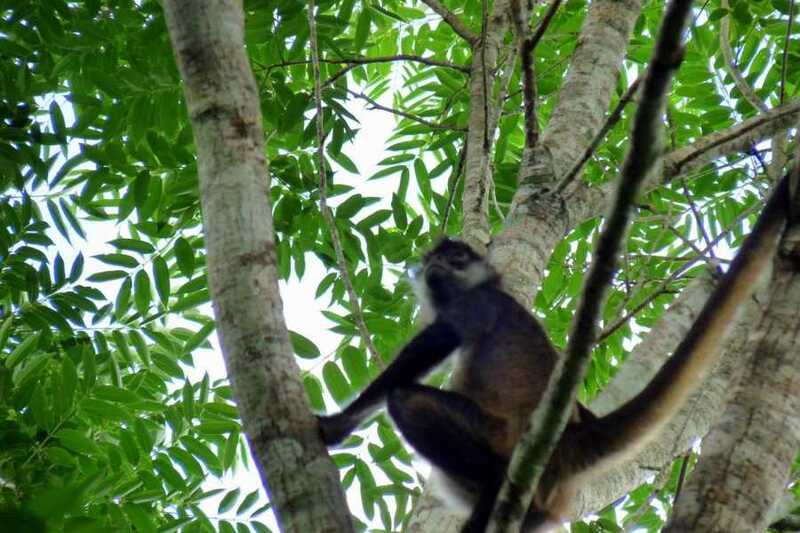 Tikal is also part of the one-million-hectare Maya Biosphere Reserve created in 1990 to protect the dense forest of the Peten, which started to disappear at an alarming rate due to population pressures, illegal logging and slash-and-burn agricultural practices. 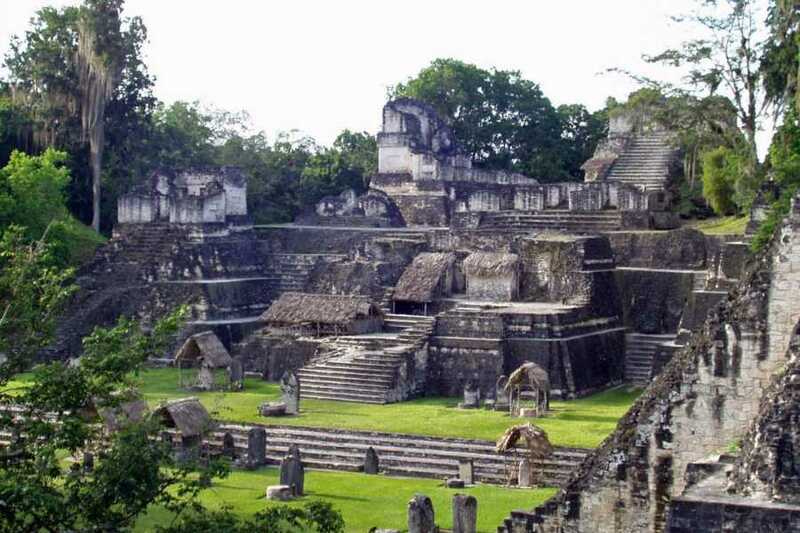 Archaeologist estimate that the Maya settled in the area now known as Tikal in about 900 BC. 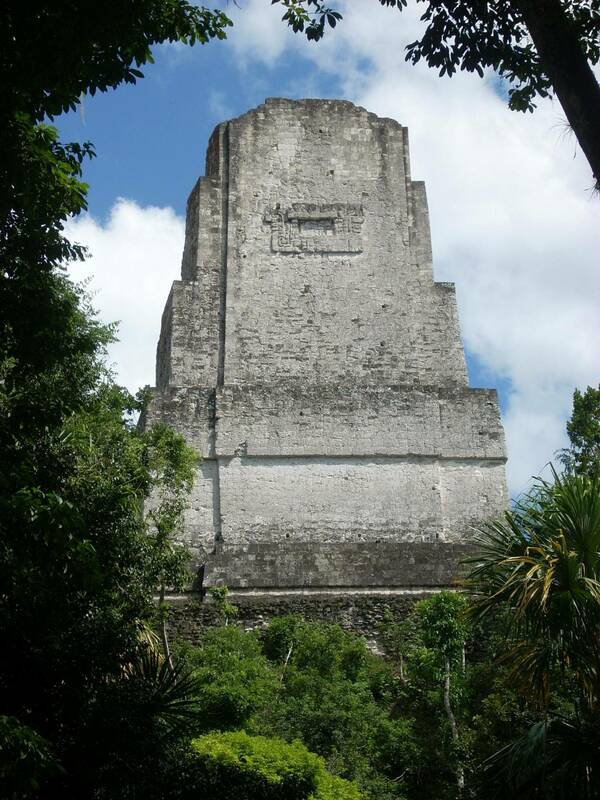 Tikal grew into an important ceremonial, cultural, and commercial centre over the centuries. 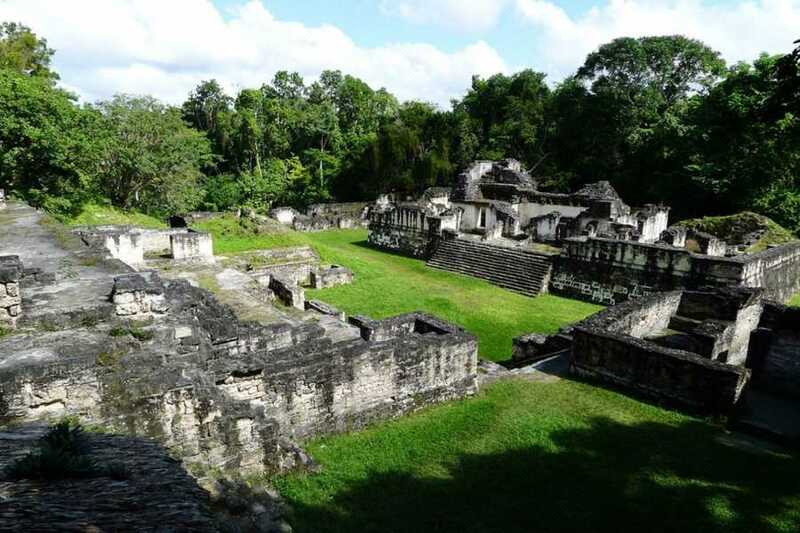 Most of the city’s huge temples were constructed during the eighth century AD when Tikal became the greatest city in the Maya world with a population of perhaps 120,000. Like Maya Complexes on Mexico’s Yucatan Peninsula, Tikal fell into decline at the end of the ninth century and was virtually abandoned. The causes of the Maya empire’s collapse remains a mystery, but wars, famine, overpopulation and resource depletion have all been blamed. 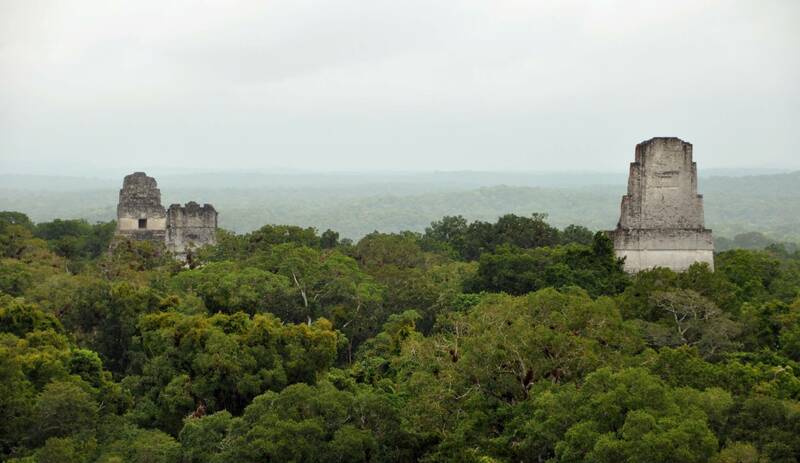 Tikal’s great stone monument languished for centuries and were gradually reclaimed by the jungle. 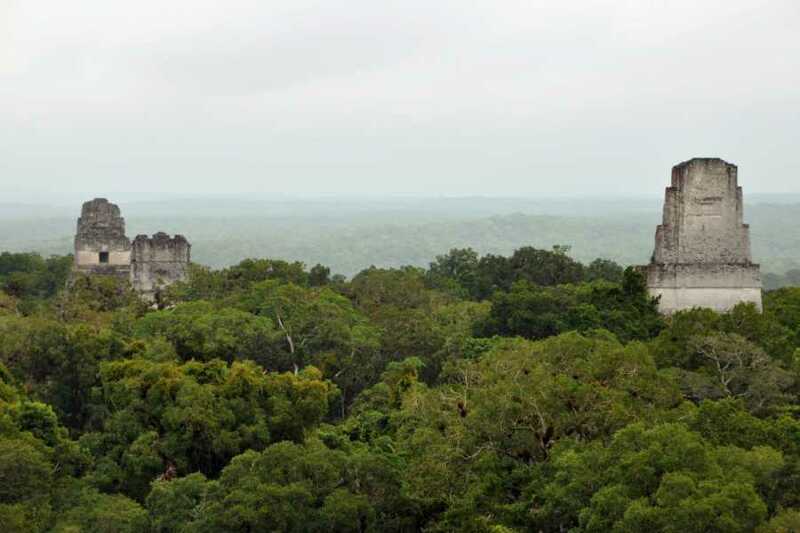 Hernan Cortes, the conqueror of Mexico, and his motley band of conquerors marched by Tikal in 1525, but they failed to see its temples concealed by 40-metre-tall cedar and mahogany trees. 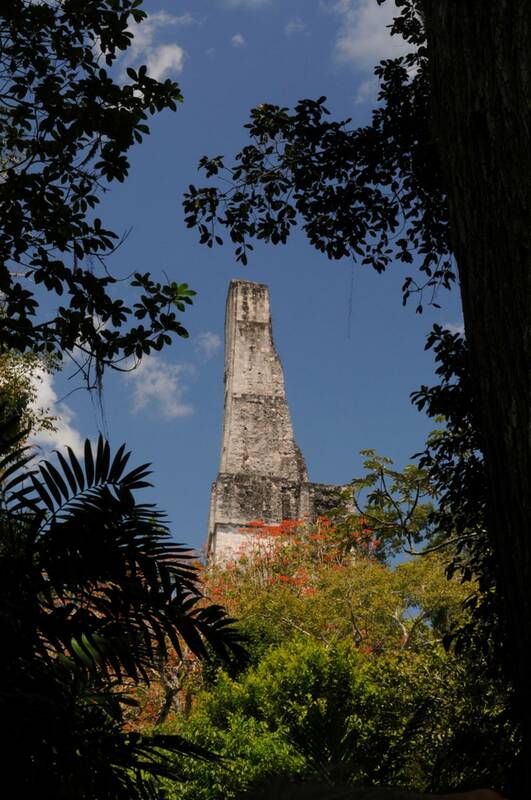 Spanish friars later wrote of a great city hidden in the forest of the Peten. 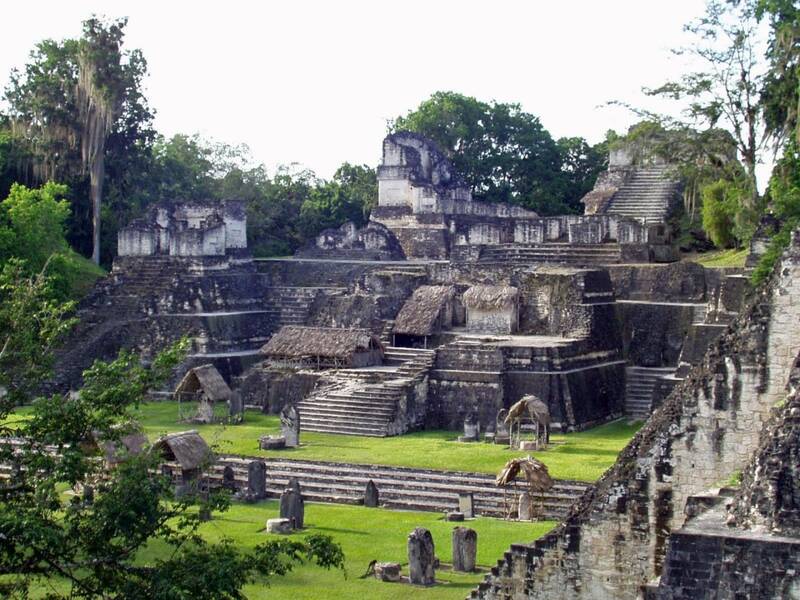 It wasn’t until 1848 that an expedition sent out by the Guatemalan government officially discovered the ruins. Swiss, German and British archaeologist soon followed to clear debris and begin studying the site. 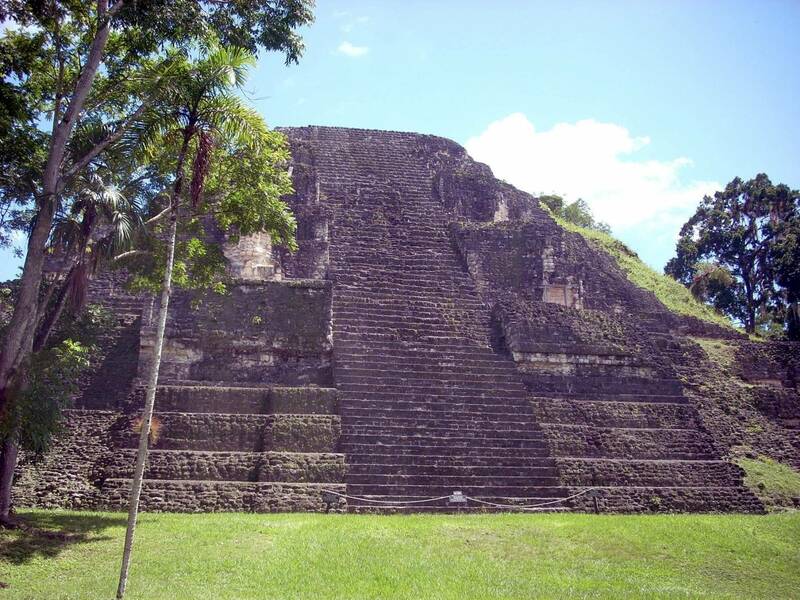 The Museum of the University of Pennsylvania, the Guatemalan Institute of Anthropology and History restored Tikal’s structures during the 1950s and 1960s. More recently the cooperation of Spain has donated resources to restore some other structures. 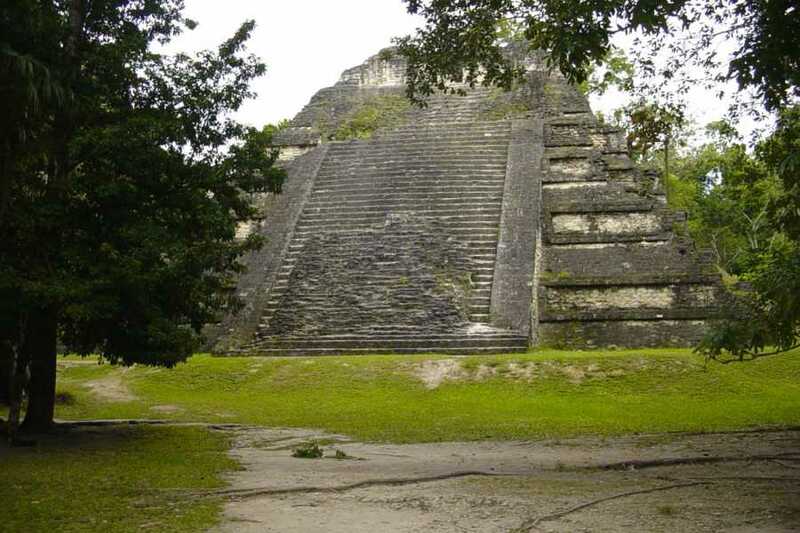 Today Tikal is to Guatemala what the Great Pyramids are to Egypt, a national symbol and a source of pride in the past. 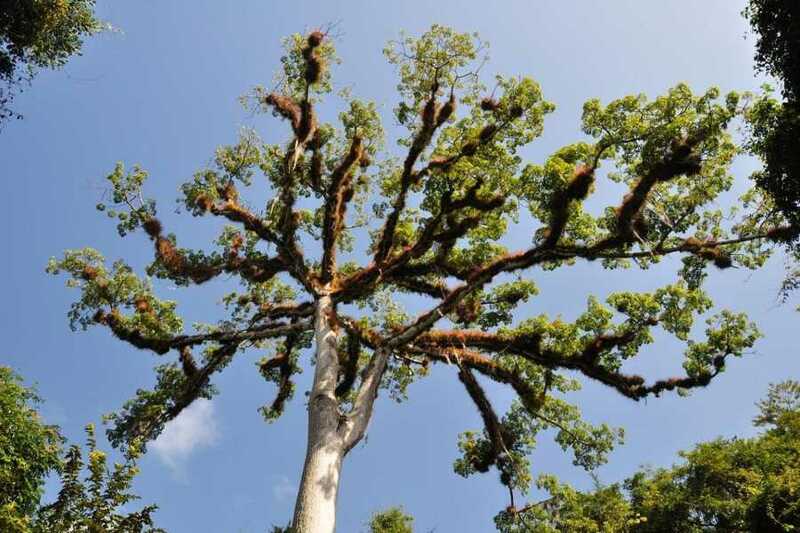 Enormous trees still shroud Tikal’s buildings, which cluster in groups reached by wide causeways meandering through the tropical forest, home to toucans, parrots, wild turkeys, howler monkeys, raccoon-like coatimundis and countless other creatures. Tikal’s grand scale even awes those who have visited spectacular Mayan sites such as Palenque and Chichen Itza in Mexico. 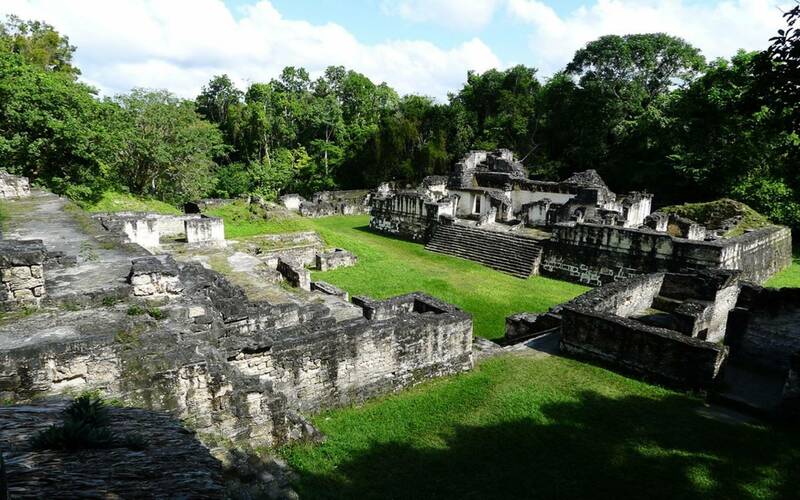 The Temple of the Grand Jaguar (Temple I) and the Temple of the Masks (Temple II) loom like a pair of colossal bookends of opposite sides of the Great Plaza, a vast expanse ringed by terraces, palaces and ball courts. Temple I rises some 50 meters above the plaza’s eastern end. A stone stairway leads up the pyramids’s nine tiers, corresponding to the nine levels of the Mayan underworld. 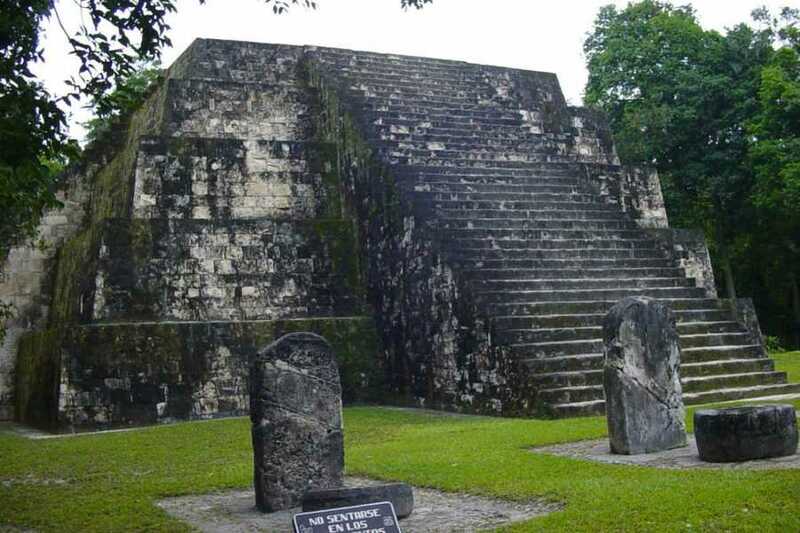 In 1958, archaeologist discovered the tomb of Hasaw Chaan Kawil (Ah Cacao, Lord Chocolate), one of Tikal’s greatest rulers, inside Temple I. Hasaw’s skeleton was festooned with jade ornaments and surrounded by precious offering, including pottery, alabaster, sea shells and pearls from the Caribbean coast. 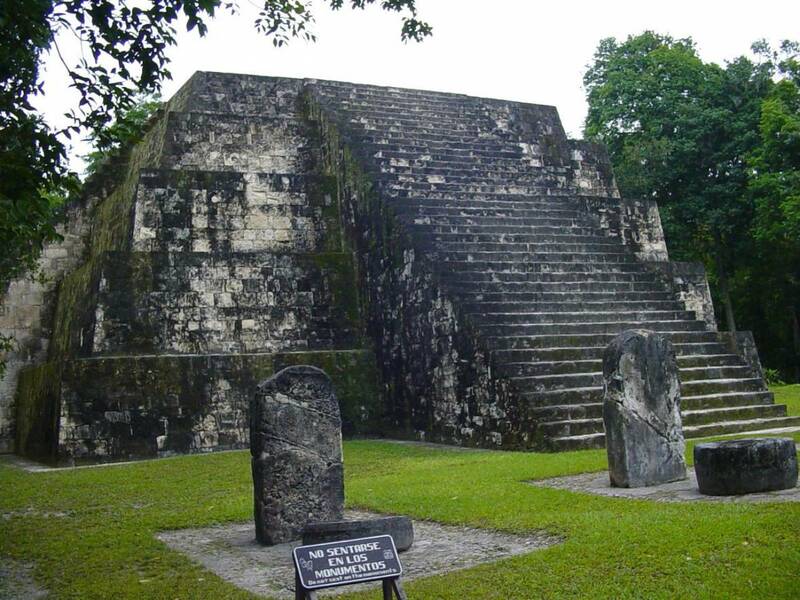 You can see a replica of this elaborate tomb in the Tikal Museum near the visitor’s centre. Called Temple of the Maskes because of huge stone masks guarding its roofcomb, Temple II is almost as tall as Temple I, Its summit offers travel-poster views of the Great Plaza and two labyrinthine ceremonial and residential complexes named the North Acropolis and the Central Acropolis. Dozens of stone pillars known as stelae, each one paired with a circular altar, stand in rows throughout the plaza and along surrounding terraces. Carvings and glyphs commemorating important dates and the great deeds of Tikal’s rulers still adorn many of these weathered monoliths. 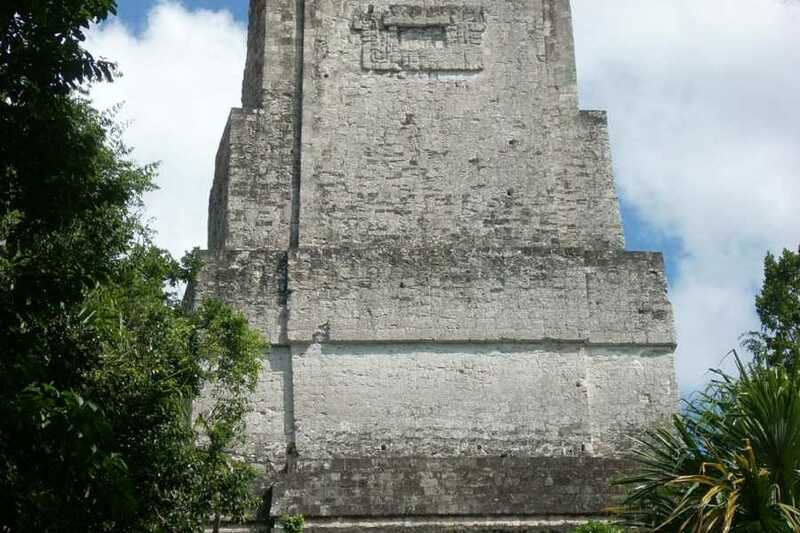 From atop Tikal’s pyramids, Maya astronomers tracked the movements of Venus and all the other visible planets. They used calculations, extremely accurate even by today’s standards, to fine tune their complex calendar, which can be compared to a system of interlocking gears made up to a 260-day calendar known as the tzolkin that meshed with a 365-day solar calendar to complete 52-year cycles. One of Tikal’s stelae records a mysterious date more that five millions years in the past, and glyphs on a stela at Quirigua in eastern Guatemala commemorate some obscure event that took place 400 million years ago. Transfer In and Out, we start walking from the point of meeting and we end walking at the ending point. 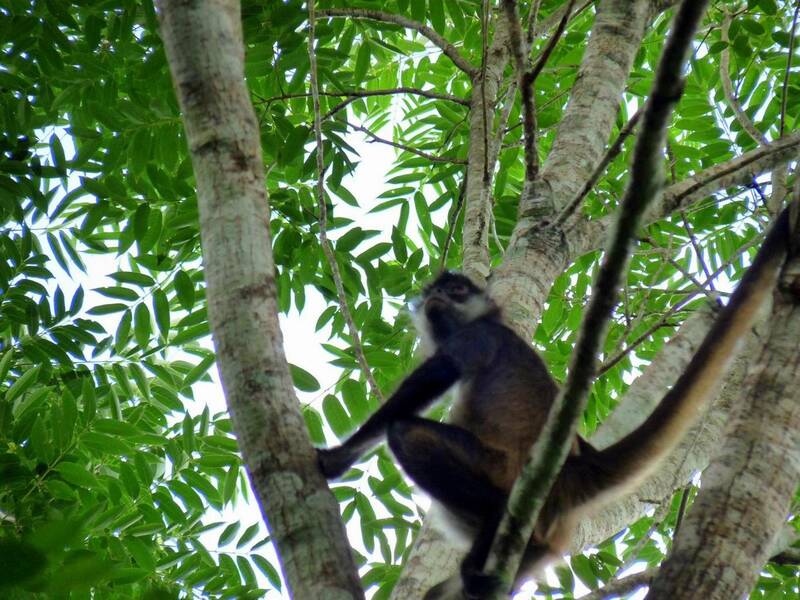 If you need transfers from a hotel outside of Tikal, they are available in the options when making your reservation. Adult tickets for foreigners cost 150 GTQ(about $20 USD). US Dollars are not accepted to pay the entry fees. 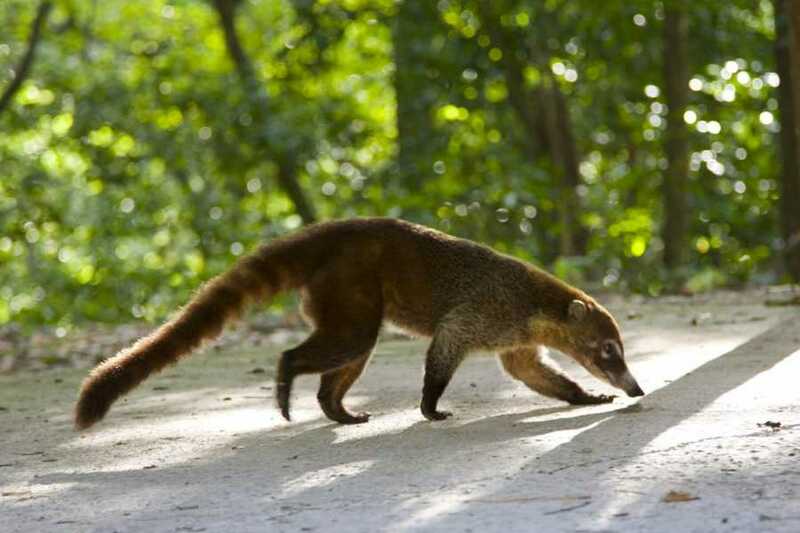 Children under 12 can enter Tikal free of charge. If you sign up for a sunrise tour and enter the park before 6:00 AM, the ticket fee is 250 GTQ. 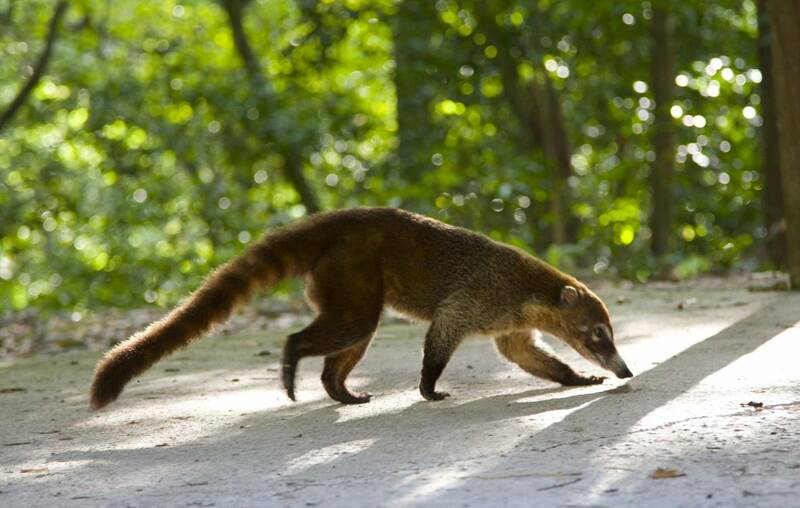 Entry fee to the Museums of Tikal is 30 GTQ, One entrance is payed for the two museum of the park. There are several options for lunch; price goes from $8 USD to $15 USD per person. *) Bring plenty of bottled drinking water and sunscreen. The Peten has a tropical climate similar to that of Mexico's Yucatan Peninsula. 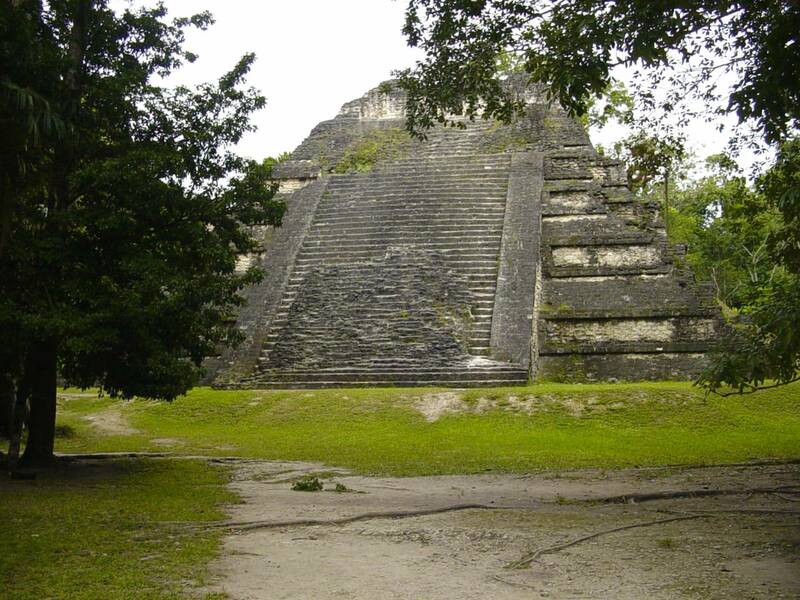 **) There are also no ATM’s in Tikal so make sure to bring enough cash with you. We finish at the scale model, free time to explore, have lunch, visit museums and/or shopping.